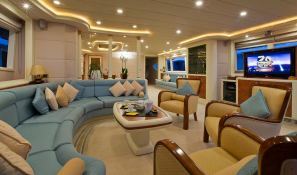 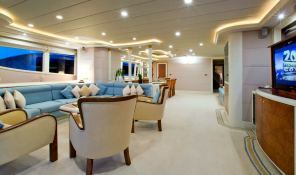 Mabruk III is an excellent 35m yacht built by Notika, accommodating up to 10 guests in true style. 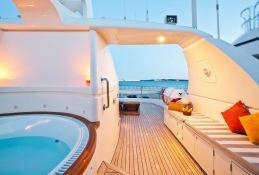 She cruises the waters of France and Italy offering an unforgettable charter experience, with her superb flybridge, 5 sumptuous cabins, stunning Master suite, jacuzzi and sauna...A real epitomy of luxury and calm. 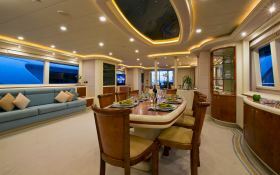 Mabruk III, built in 2003 by Leight Notika, and refitted in 2010 is a fantastic 35M motoryacht which welcomes up to 10 guests on board with a crew of 5, and can reach a cruising speed of 21 knots thanks to its 2x1800 hp engines. 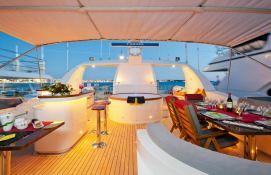 This Leight Notika Yacht 35M is available for luxury charter around Corsica, France, Liguria, Sardinia and Tuscany. 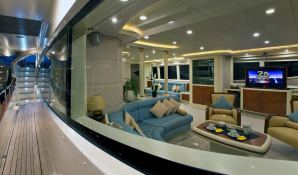 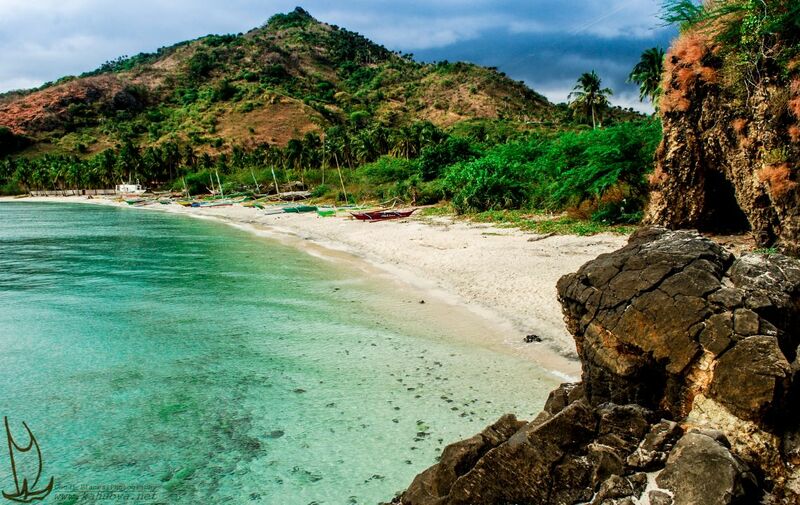 Mabruk III is equipped with air conditioning, BBQ, jacuzzi, zero-speed stabilizers and also fishing equipment, jetski, kayak, CD, DVD and Sat TV for a great luxury charter experience. 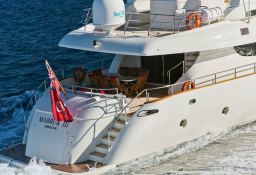 Mabruk III is available for yacht charter with a base price of 57 000 € (approximatly 64 282 $).